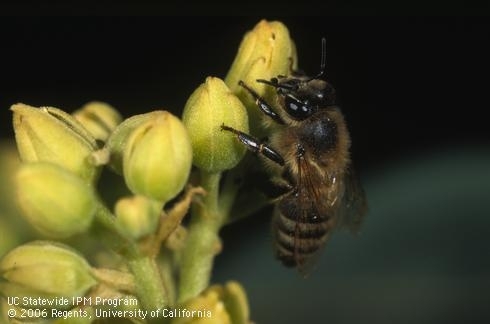 According to a UCBerkeley news report,about one-third of the value of California agriculture comes from pollinator-dependent crops, representing a net value of $11.7 billion per year. The UC Riverside Veterinary Entomology Extension Laboratory has developed an on-line database of pesticides registered in the State of California for use against arthropod pests of animals. 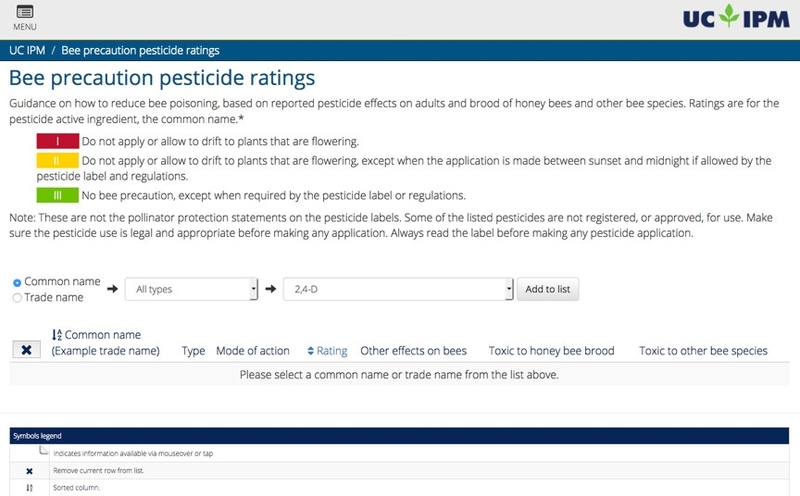 The database can be found at:http://veterinaryentomology.ucr.edu/vet_pesticides.html Website visitors can search by animal commodity for which pest control is needed (e.g. poultry), by type of pest (e.g. poultry mite or house fly), and by application method and formulation. It is expected that animal producers and extension personnel will find this database to be much easier to navigate than the California Department of Pesticide Regulation product search website. Animal producers may also be interested in other offerings of the Insect Pests of Animals website (http://veterinaryentomology.ucr.edu/). Visitors can find pest management information for some ectoparasite pests of poultry, cattle, and other animals. We are adding information on additional pests every few months so be sure to check back to see what has changed. We also maintain a Blog (http://veterinaryentomology.ucr.edu/blog/) that producers and extension personnel may be interested to follow. Information shared through the Blog includes recent findings related to pest management in animal facilities or of general relevance to animal producers, extension personnel, and researchers. Finally, animal producers may be interested in taking a look at the many web links provided in our “other resources” section. In particular, there are links for producers to submit animal management questions to the national eXtension program through their “Ask and Expert” program. Experts from universities, extension offices, private industry, and other relevant organizations are registered with this national eXtension program to answer submitted questions or to provide question writers with guidance to address their questions.